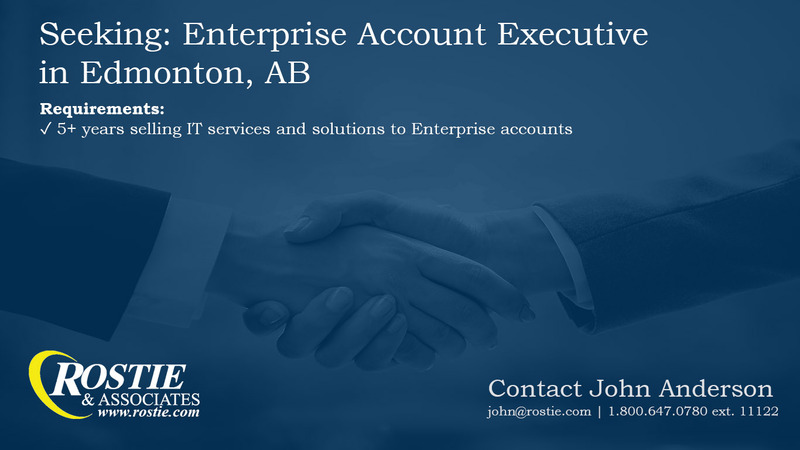 Enterprise Account Executive - Rostie & Associates INC.
Our client, a leading Canadian telecommunications provider is currently seeking an Account Executive in the Edmonton area. Reporting to the Manager of Enterprise Sales, you will be responsible for developing new business and maintaining existing accounts in an assigned territory. The successful candidate will have: A minimum of 5+ years experience in business-to-business major account sales, preferably in the area of telecommunications and/or high-tech; Exceptional, and proven, track record as an Account Executive; Experience with telecommunications technologies, specifically Private Line, Data Centre, MPLS, Managed solutions and IP services; Have the ability to develop complex technical proposals and present to all levels in clients' organization.